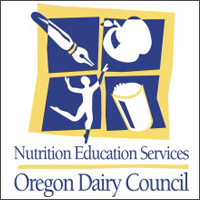 The Oregon Dairy Council‘s fall edition of the School Wellness Newsletter is available for download from the OSNA website. The theme is “Stepping into the New School Year” and articles highlight activity before, during and after school. Also, check out the tasty breakfast recipe from Food Hero. Links for more information are in bold print in the articles. 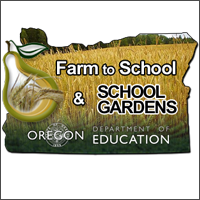 We want encourage you to opt-in for the Oregon Farm to School & School Garden Grants, which will provide funds for your district to purchase Oregon foods! The deadline to opt-in is Friday, September 11, 2015. It’s easy to sign up! First, watch the recorded training video. Second, fill out the survey application. For more information, please visit the grant website. Agriculture Secretary Tom Vilsack announced Sept. 8 that the U.S. Department of Agriculture (USDA) will be awarding over $8 million in grants to help school nutrition professionals better prepare healthy meals for their students. Approximately $2.6 million dollars in grants will support implementation of new national professional standards for all school nutrition employees who manage and operate the National School Lunch and School Breakfast Programs, and $5.6 million will go to help states expand and enhance food service training programs and provide nutrition education in school, child care, and summer meal settings. 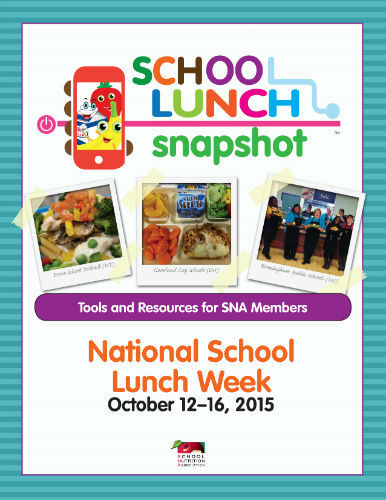 In February, USDA announced national professional standards for school nutrition employees that went into effect on July 1, 2015. These standards, which vary according to position and job requirements, ensure that school nutrition professionals have the training and skills they need to plan, prepare, purchase, and promote healthy meals. In addition to several built-in flexibilities intended to facilitate the first year of implementation and address the challenges faced by smaller school districts, USDA is providing a total of $2.6 million to 19 state agencies to develop and enhance existing trainings within their state that will allow school nutrition professionals to meet these standards. The Professional Standards Training Grants promote training in nutrition; operations; administration; and communications and marketing. providing schools and child care providers with technical assistance to create and maintain a healthier environment. Grants activities must be sustainable and achieve measurable outcomes. 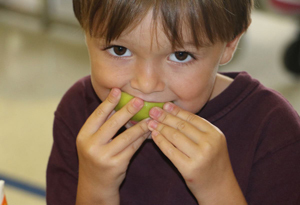 For example, the Oregon Department of Education will use the grant funds to hold 10 Smarter Lunchroom workshops on strategies for arranging the lunchroom that promote healthy choices. As a result, at least 120 school food authorities and child nutrition program sponsors will receive training and follow-up assistance. A summary of previous years’ grant activities by state can be found at the Team Nutrition Training Grants website. The Team Nutrition Training Grants are awarded as part of USDA’s Team Nutrition initiative, which provides resources, training, and nutrition education lessons for schools and child care providers. 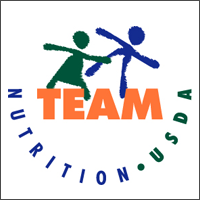 This year marks the 20th anniversary of the Team Nutrition initiative. In that time, Team Nutrition has provided nearly $90 million in grant funds to state agencies that implement USDA Child Nutrition Programs.